When it comes to sewing machines then Singer is the best choice to consider. Singer sewing machines are known for their high-efficiency, reasonable price and extra features. 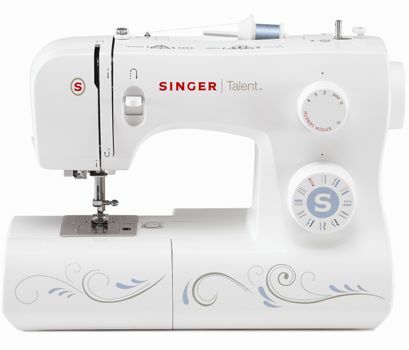 Recently I bought Singer 3323S talent 23-stitch sewing machine. It is simply marvelous. I have come up with its review so that you can get to know about its features and benefits. Following is an overview of some of the distinguishing features of Singer 3323S Talent 23-Stitch Sewing Machine. Adjustable Stitch Length and Width: Different fabrics require different stitch length and width. You can easily adjust the stitch length as well as width in this sewing machine. It allows you to make seams stronger and to avoid bunching of fabric. Has Top Drop-in Bobbin: Unlike conventional sewing machines, this singer sewing machine has top drop in bobbin which makes it easier for you to put the thread in machine and have an eye on it so that you may get to know if it get struck or comes out. One Fully Automatic One-step Buttonhole: Not only this, now you can also get buttonholes through this machine as this machine has an automatic one step buttonhole. Automatic Needle Threader: Most of the people having weak eye side suffer a lot during threading the needle as the hole of needle is very small. If you are one of them then your problem has been solved. 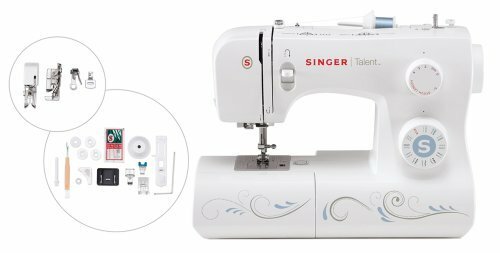 Singer 3323S Talent 23-Stitch Sewing Machine has an automatic needle threader that threads the needle by itself. Include Fashion Accessories: You can also get various fashion accessories along with this machine without paying for them. These accessories include all common items needed during stitching such as embroidery foot, gathering foot and side cutter. Provide Warranty: Unlike other sewing machines available in the market, Singer 3323S Sewing Machine provides warranty of not less than 25 years on sewing head. Who Should Buy The Singer 3323S Talent 23-Stitch Sewing Machine? This machine is made for personal as well as professional use. As this machine is user-friendly so beginners can also use it. It can stitch simple as well as modern clothes easily. Not only this, you can also stitch your bed sheets and other related stuff on it. If you have a limited budget but still you want a quality product then this singer sewing machine I made for you. Singer 3323S Talent 23-Stitch Sewing Machine is one of those few sewing machines that offer wide range of features at reasonable price. If you are planning to redesign your wardrobe with some fresh clothes then you must get this machine.